LG G7+ ThinQ vs OnePlus 6: Can LG Dethrone The Budget Flagship King? LG has finally brought the G7+ ThinQ flagship to India. The company has launched the device as the G7+ ThinQ with 6GB of RAM, and it will be available from August 10 with a price tag of Rs. 39,990 exclusively on Flipkart. At that price point, the device competes directly with the ultra-popular OnePlus 6, which is priced at Rs. 39,999 for the 8GB/128GB variant. The latest OnePlus phone has established itself as the undisputed champion in the premium segment (over Rs 30,000) in India. Obviously, the devices look very similar and the LG G7+ ThinQ has some interesting hardware extras which the OnePlus 6 lacks. But the latter more than makes up for it in other departments. In terms of design and build, the G7+ ThinQ features a glass sandwich design with a metallic rim between the panels with Gorilla Glass 5 protection on both sides. The phone has an IP68 rating for dust and water resistance, and as per LG, it meets the MIL-STD 810G durability standard. As for the OnePlus 6, it also features a glossy design, but you can also go for the Silk White variant which offers a non-glossy finish and smoother finish. Moreover, the OnePlus 6 is also water resistant, but there’s no IP rating and is only claimed to be ‘daily water resistant’. The LG G7+ ThinQ takes the crown here in terms of protection against the elements, thanks to the IP68 rating, while the OnePlus 6 has to make do with just an assurance that it is ‘daily water resistant’, which basically means that the OnePlus 6 should be safe in case of light rainfall or a few drops of water, but don’t take it swimming just yet. Moreover, the G7+ ThinQ’s MIL-STD 810G durability certification means the LG phone doesn’t need gloved hands. The LG G7+ ThinQ flaunts a notch on top of a 6.1-inch ‘FullVision Super Bright Display’ with QHD+ resolution (3120 x 1440 pixels) at 19.5:9 aspect ratio and Gorilla Glass 5 on top. The display can hit a peak brightness level of 1000 nits and is also HDR10 compliant. On the other hand, the OnePlus 6 features a 6.28-inch full optic AMOLED display with a resolution of 1080 x 2280 pixels and 19:9 ratio, and is protected by a layer of Corning Gorilla Glass 5. The LG smartphone again tops the OnePlus 6, thanks to a higher resolution display that is also HDR10 compliant. Moreover, the G7+ ThinQ has a lot going in its favor when it comes to audio output, thanks to HiFi Quad DAC and DTS:X 3D surround sound, as well as a boombox speaker. The OnePlus 6, on the other hand, is devoid of any such audio features and even lacks stereo speakers. So, when it comes to multimedia output and providing an overall superior audio-visual experience, the LG G7+ ThinQ takes the cake here. 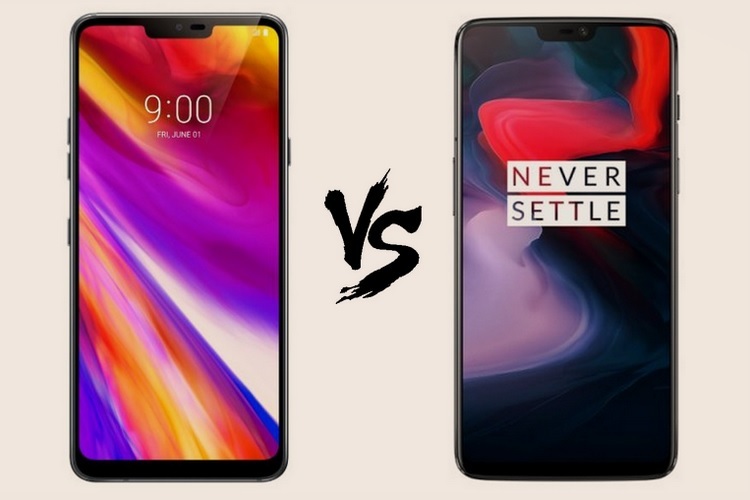 In terms of processing power, both the devices are neck to neck as they feature the same Qualcomm Snapdragon 845 processor, however, the OnePlus 6 has a slight edge here as the device also comes in an 8GB variant, while the G7+ ThinQ only has 6 gigs of RAM at the same price point. So, on the front of multi-tasking, the OnePlus offering has an upper hand. 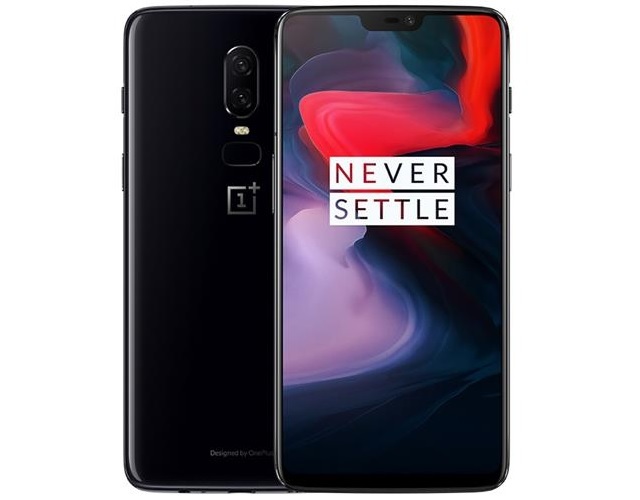 Moreover, OnePlus also has one more parameter that goes in its favor when it comes to day-to-day performance, and that key aspect is a near-stock Android experience provided by OxygenOS, which means minimal bloatware and an overall smoother experience. It also comes with a host of customization options right out of the box. 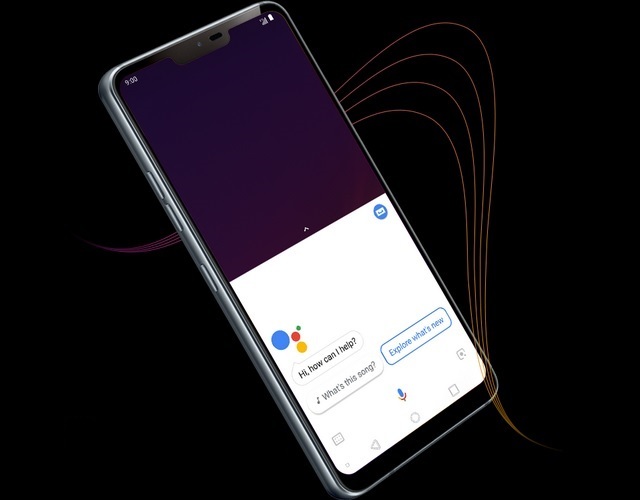 On the other hand, the G7+ ThinQ boots LG’s own UX on top of Android Oreo, and comes with its own custom skin, settings and pre-loaded apps, as well as the Google Assistant-powered AI Pack 2.0 for some AI-based functionalities. So, if you are an Android purist, the OnePlus 6 is a better choice. Moreover, the update cycle of OnePlus devices is comparatively faster than most Android smartphone makers. This year, both devices are expected to get the Android P update, but the OnePlus 6 is already a part of the Android P beta program and will be more prepared for the final update when Google releases the stable build. So, there you have it, if quick updates and faster interface matter more to you, then the OnePlus 6 is a better choice. The G7 ThinQ packs a dual rear camera set-up consisting of a 16MP Super Wide Angle (F1.9 / 107°) sensor paired with a 16MP Standard Angle (F1.6 / 71°) unit, alongside an 8MP camera up front. The device also has integrated an AI CAM feature, which presents 19 shooting modes and employs algorithms to automatically adjust camera settings for different scenes. 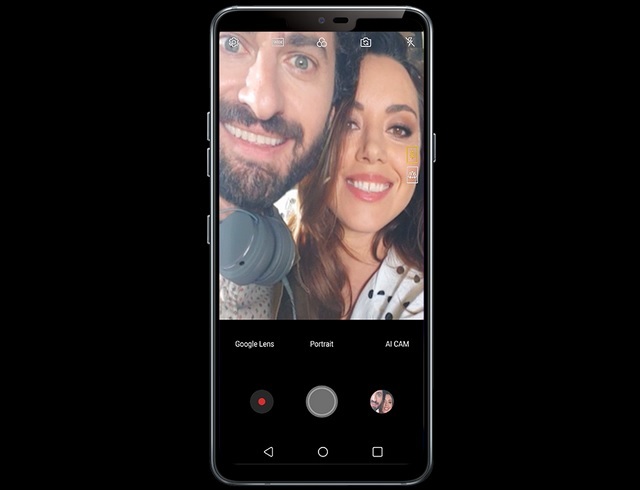 The G7 ThinQ also comes with a feature called Live Photo mode which saves one second of video before and after clicking a picture to capture live images. Portrait mode, OIS, laser autofocus and facial recognition for generating 3D camera effects are also on board to match other flagships. While on paper it sounds good, we have no idea how the G7+ ThinQ will perform in everyday usage. 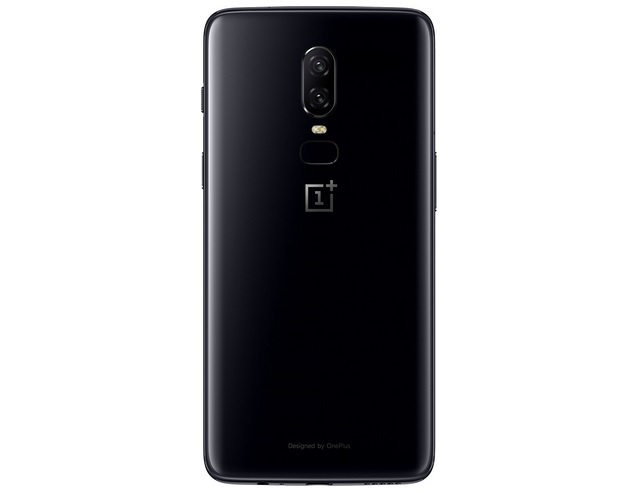 The OnePlus 6 packs a 16MP f/1.7 plus 20MP f/1.7 camera setup on the back with OIS onboard, and a 16MP f/2.0 camera up front which also has EIS. Both the devices are neck to neck when it comes to video recording capabilities at different resolutions and frame rates, however, real-life performance is an altogether different game. While the LG G7+ ThinQ’s DxOMark score is yet to be revealed, the OnePlus 6 has racked up an impressive score of 96 points, and in our review of the device, the OnePlus 6’s camera proved to be a capable performer in the imaging department. Both the LG G7+ ThinQ and the OnePlus 6 pack some serious punch for their price tag, and offer great value. On one hand, you have a brand which is struggling to establish a foothold in the flagship segment and is offering a device loaded to the brim with top-of-the-line hardware, and then some more. On the other hand, you have OnePlus, which is comfortably seated on the throne of the budget flagship king, and the OnePlus 6 has only consolidated its status as the champion of the territory with the device receiving rave reviews. OnePlus has also improved its customer service and store network over the years, which makes after-sales support more accessible. There are a few points you could consider to make your buying decision easier. If multimedia consumption is at the top of your priority list, then the LG G7+ ThinQ is hands down the better choice. The LG display and audio capabilities are unmatched by the OnePlus. However, if a clean UI, snappy performance and faster updates are things that appeal to you, then the OnePlus 6 is a no-brainer.